I am pleased to have been chosen by Pump Up Your Book to review The Portrait by Hazel Statham. If you haven't checked out the author's insights into the book, you can read her guest post here. Severely injured at the battle of Salamanca, Edward Thurston, the new Earl of Sinclair, returns home to his beloved Fly Hall. Determined not to present his prospective bride with the wreck he believes himself to have become, he decides to end his betrothal, unaware that Lady Jennifer, for vastly differing reasons, has reached the selfsame decision. Throughout the campaigns, Edward was often seen relying greatly on a miniature he carried, and it is to this token he clings upon his return. Will he eventually find happiness with the girl in the portrait, or will he remain firm in his resolve not to wed? Reason dictates one course, his heart another. The characters are likable, well written and thouhtful, with just enough 'modern thinking' to keep the story from being too historical. 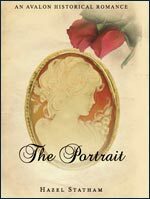 The Portrait was a great weekend read, an easy escape from the modern world with beautifully written words and heartfelt meaning - I highly recommend checking out The Portrait! 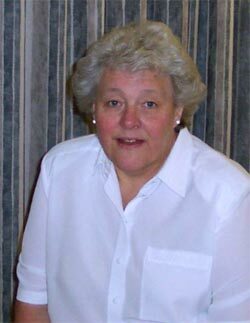 Hazel Statham lives in England and has been writing on and off since she was fifteen. Initially she was influenced by Austen, the Brontës, and Sabatini but when she turned seventeen, Georgette Heyer opened up the romance and elegance of the eighteenth and nineteenth centuries. She immediately knew she had found her eras and wanted nothing more than to re-create them in her work. Her latest book is the Regency romance novel, The Portrait, released by Avalon Books in August 2010. Hazel lives with her husband, Terry, and a beautiful Labrador named Mollie. Apart from writing, her other ruling passion is animals, and until recently she acted as treasurer for an organization that raised money for animal charities. Win a copy of The Portrait! This giveaway is open to residents of Canada & the US and ends December 1, 2010 at 11:59 PM. Winning entry will be chosen by random.org and verified before being announced! Disclaimer: I received a review copy of this book from the author. All opinions are my own.